Since Valentine’s Day is only weeks away, you may be searching for the best romantic destinations to take your loved one. Try something memorable with our enormous collection of romantic experiences. Red Carnation’s 17 unique and impeccable hotels will make it easy to find an intimate getaway that is unforgettable. Below are just a few hotels that will embrace your passion for romance that will be sure to help you fall in love. Sleep under the stars in a glass-topped Suite at TripAdvisor’s number one London hotel, 41, feeling like you’re floating high above the city. You can also celebrate a truly intimate dining experience exclusively hosted in The Milestone’soriginal house chapel, The Oratory, with its ornate vaulted ceiling and wood paneling. ‘Hideaway’ in a secluded cottage at the Summer Lodge in Dorset, set within Hardy’s enchanting village of Evershot and surrounded by rolling hills. This five-star country house hotel is the ultimate in timeless style with miles of beautiful countryside, a magnificent spa and a stunning indoor pool. You and your significant other will feel like you’re in a idyllic luxury escape from the rest of the world. Sit together on the balcony of your luxurious hotel room watching the Atlantic Ocean sunset at the Twelve Apostles Hotel in CapeTown, South Africa. Savor delicious seafood and fine dining at Azure Restaurant, after heading to luxuriate our holistic spa with stunning outdoor gazebos. For something extra special, take a romantic journey through nature, history and heritage at our spectacular Bushmans Kloof Wilderness Reserve & Wellness Retreat, also in South Africa. Nestled in the foothills of the Cederberg Mountains, our ecological oasis is a magical wilderness experience among open plains, sandstone formations and ancient bush art sites dating back 10,000 years. You can experience extraordinary dining under starry skies, relax and reconnect in the spa, and explore a stunning landscape unlike any other. visit us at www.redcarnation.com or email book@rchmail.com. For up-to-date, high-resolution images, please visit The Red Carnation Hotel Collection Image Library at media.redcarnationhotels.com. Red Carnation Hotels are a collection of family-run, award-winning boutique hotels in the UK, Ireland, South Africa, Switzerland and the USA. Each hotel is a landmark of history and tradition; from the recently restored Ashford Castle in Ireland, to the Milestone, a historic mansion hotel in the heart of London, to the truly iconic Oyster Box in South Africa – our hotels are unique and characterful with a personal approach to hospitality. 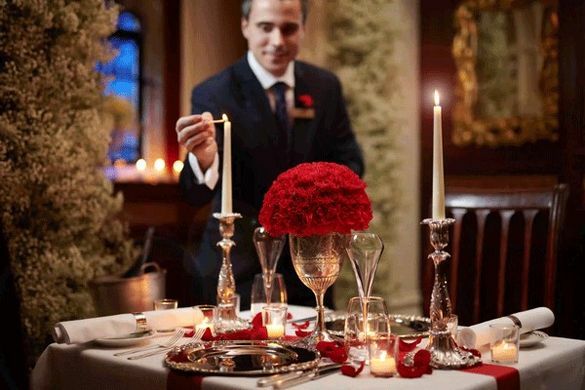 With a peerless reputation for exquisite fine dining, leading spas and sumptuous surroundings, we pride ourselves on delivering warm, thoughtful and highly personalized service. For more information about these award-winning hotels and the rest of The Red Carnation Hotel Collection, please go to www.redcarnation.com.